What’s the Best Time to Visit Nevada? Have you been to Black Rock Desert, Nevada? Its source convinces me of the authenticity of this photograph. 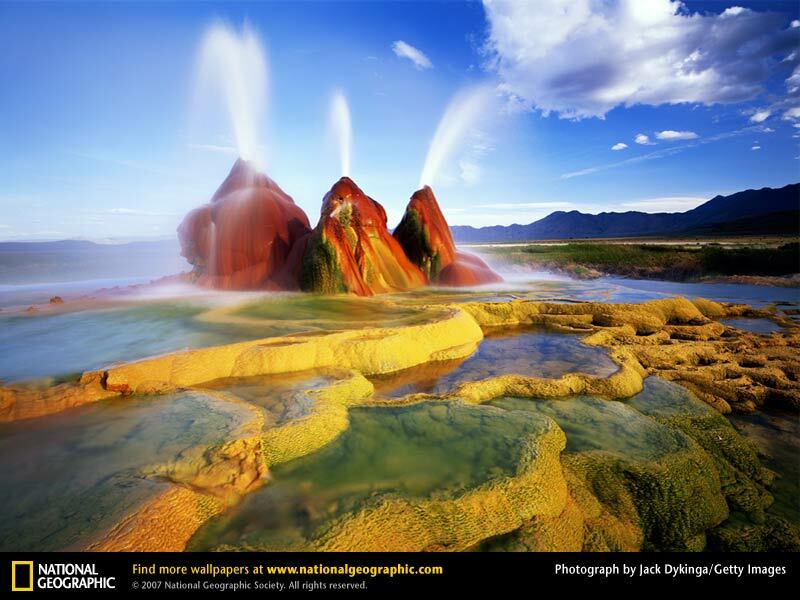 The caption reads, “Minerals, algae, and cyanobacteria give this geyser in Nevada’s Black Rock Desert its brilliant colours.” It takes my breath away. I’m reading Geoff Dyer’s latest compendium of essays, Otherwise Known as the Human Condition. Initially I was irritated that the book is a selection from two collections of Dyer’s essays that I already own: Anglo-English Attitudes and Working the Room. I guess that this edition is for the American market. My irritation was short-lived, Dyer is a brilliant essayist. The ‘Visuals’ section is best read with a screen to hand to seek out the photographers and places he mentions. This entry was posted in Geoff Dyer by Anthony. Bookmark the permalink. >Oh wow, that is gorgeous! I haven't been to the Black Rock Desert, but I have done some hiking in the Red Rocks area around Las Vegas, and I love that southwestern landscape. If you ever do visit, I'd recommend March-April or Octoberish – the desert gets intensely hot in the summer and very cold in the winter. >Thanks, Emily, October might work, though I have always wanted to attend Burning Man which is a little earlier.The landscape is stunning.